A Birthday Cake in Fortnite BR. NOTE: This page is for the "Birthday Cake" object needed for the challenge "Dance in front of different Birthday Cakes". For the Back Bling with the same name, see: Birthday Cake Back Bling. 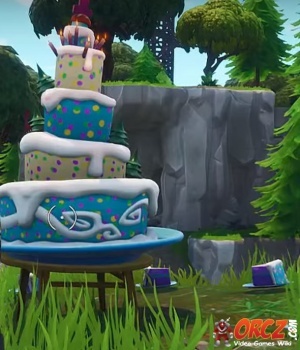 The Birthday Cake is a special types of Object in Fortnite Battle Royale. 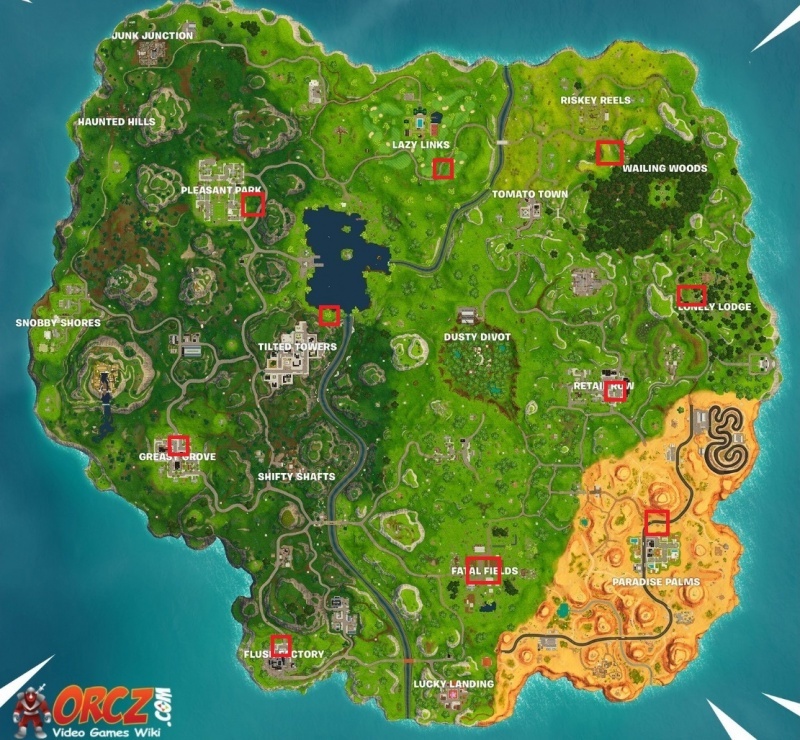 You have to dance in front of them to complete the Birthday Challenge, "Dance in front of different Birthday Cakes"
See map below for all locations of Birthday Cakes. There are also Slices of Cake next to the Birthday Cakes. Consume those slices to get +5 Shields and +5 Health. Birthday Cakes were added in patch 5.10 and will be in the game from July 24th, 2018 to August 7th, 2018. This page was last modified on 25 July 2018, at 10:53. Content is available under Creative Commons Attribution Non-Commercial Share Alike unless otherwise noted.